Place multiple consecutive bets on roulette spins – cash out while your luck's at its height. It's the anticipation that adds the thrill factor to any roulette game, and with Cash In Roulette the thrill factor goes off the charts. Plus you'll get huge odds on some bets, with some casino operators offering potential wins of £1 million, or odds up to 1 million to one. Much more fun than a lottery ticket, right? It's rare to see an innovative element version of a standard casino table game, and they don't come more standard than roulette. 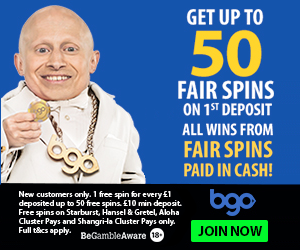 This new twist on one of the most popular of casino games does just what it says on the tin – let's you place bets in advance of multiple consecutive spins of the wheel, and decide either to cash out or let your luck ride. It offers the chance of huge payouts, while offering flexible bets to roulette players who for years will have had only the standard method of single spin betting. You have the choice of playing standard single spin bets, or placing a multiple spin bet. You fancy the ball to land in 1-8 for the next 10 spins. Place your bet in 1-8 next 10. Now with each spin of the wheel that lands in 1-8, the closer you'll get to the final payout. But equally the cashout amount will keep rising. You can choose at any point to take the winnings and walk away, or let it build up even more. Of course, if the ball lands outside of 1-8 you lose the bet. But as any roulette player knows that's the name of the game. Cash In Roulette is made by Be The House, an innovative new casino games software provider. It's a name you'll want to remember. The future could see cashout and accumulative versions of various popular casino games. Roulette is just the start, and if Be The House get their patents through, you could be playing a cash out version of your favourite game before 2017 is out.